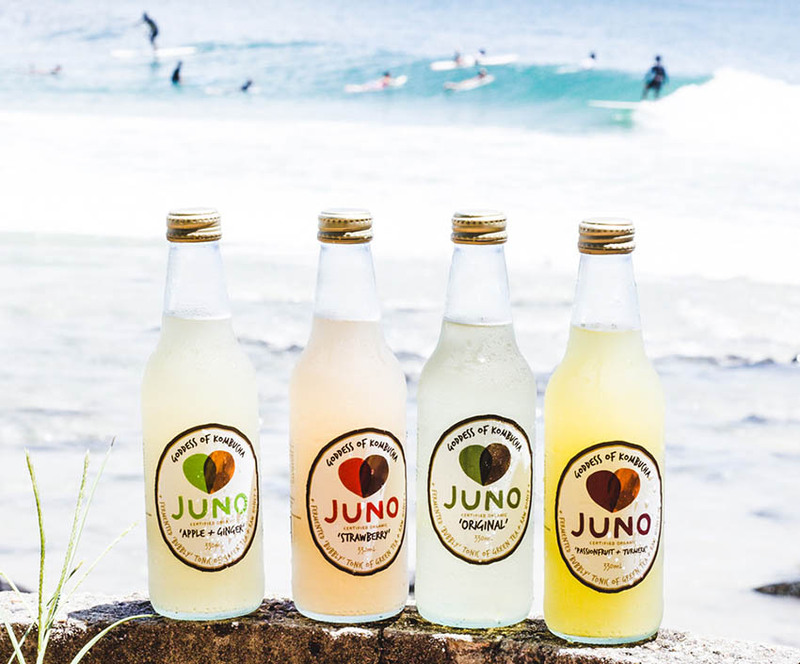 Juno is a fermented kombucha range of delicious beverages. Juno uses a SCOBY – Symbiotic Colony of Bacteria and Yeast, to convert green tea* + raw honey* into live probiotic bacteria & digestive enzymes (*certified organic). What’s more is our products are flavoured with certified organic cold pressed juice!